RESO provides standards for real estate organizations working to enhance the development and delivery of data processing. Gold Level Certification helps MRED work more seamlessly with technology partners, allowing them to update applications used by MRED subscribers faster. 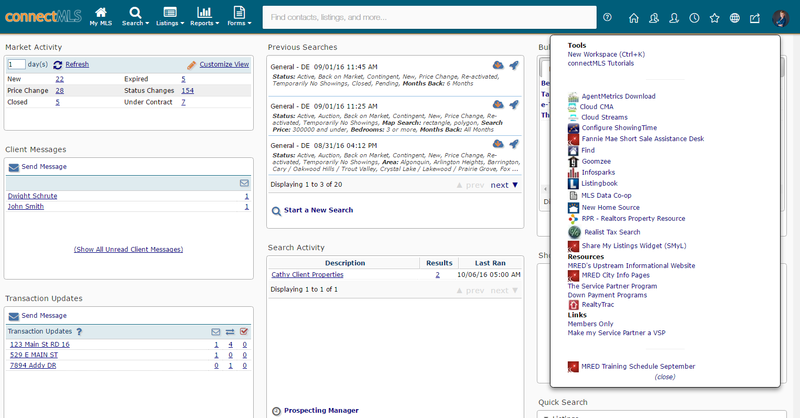 MRED's leading connectMLS platform is the centerpiece for more than 20 real estate web products. Midwest Real Estate Data (MRED) made strides in September by receiving Gold Certification for Web API from the Real Estate Standard Organization (RESO). RESO provides standards for real estate organizations working to enhance the development and delivery of data processing. MRED’s API connects real estate applications and websites that share aggregated data, allowing for real-time integration for constantly updated information. As opposed to Core Level Certification, Gold Level Certification provides MRED with more featured and functions to work more seamlessly with technology partners, allowing them to update applications used by MRED subscribers faster. As one of the largest multiple listing services in the U.S., MRED distributes property data to 40,000 brokers and appraisers across the Chicagoland region, including surrounding counties in northern Illinois, southern Wisconsin and northwest Indiana. RESO’s Web API Certification is available to any real estate organization, including MLS groups, Realtor associations, technology partners and brokers. The standards set forth by RESO allows for greater efficiency and accuracy across web platforms. RESO was a division of the National Association for Realtors until 2011, when it became an independent, nonprofit trade organization. In 2013, MRED received Inman’s Most Innovative MLS/Real Estate Trade Association award. The organization’s leading connectMLS platform is the centerpiece for more than 20 real estate web products, which for three consecutive years has been recognized as the highest-ranking MLS system in the nation by the WAV Group MLS Technology Survey. “We will continue our work, in conjunction with RESO and others across the industry, to establish data standards consistent with the best interests of our brokerages and the real estate industry,” Jensen said in a statement.